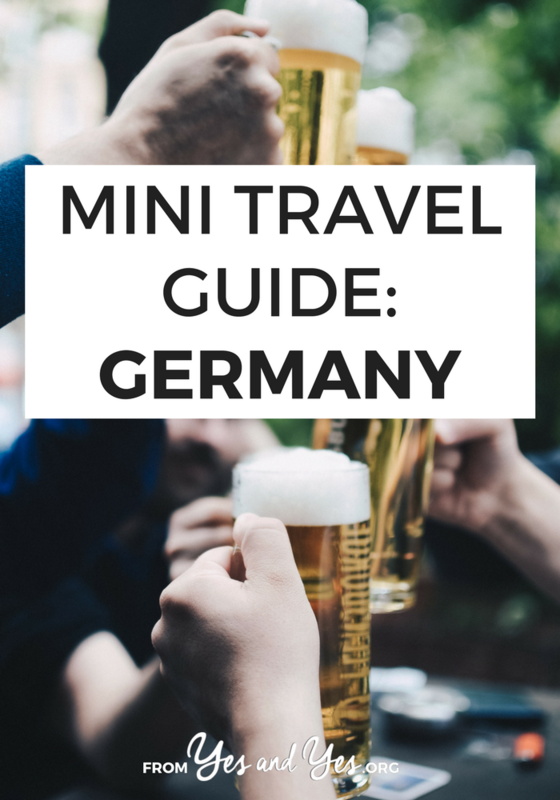 Looking for a basic travel guide to Germany? You’re in the right place! Ex-pat Naomi tells us all about the merits of German potato salad, hiking trails you can reach by public transport, and why you should ask Germans what region they’re from. I first went to Germany in 2007 when I studied abroad in the Czech Republic. I visited again in 2009 to see my boyfriend, who is getting his PhD in Munich, and then lived there from 2010-2011, working as an au pair and studying German. I’ll be back this summer for a couple of months! 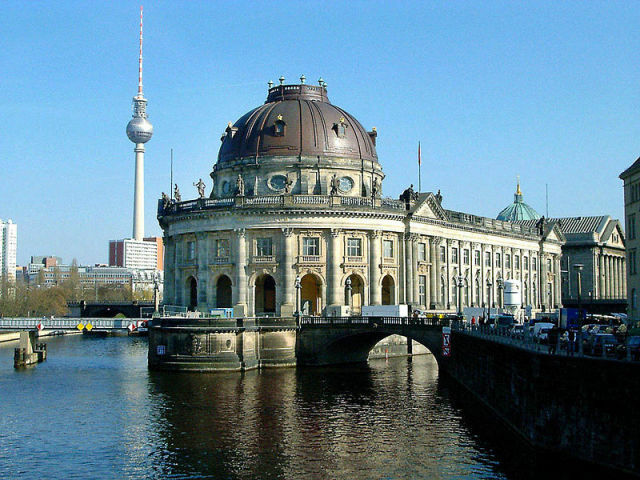 The “Museum Island” in Berlin has a ridiculously incredible cluster of museums ranging in subjects from ancient Greek and Roman art to German history and culture and everything in between. Don’t miss the Pergamon Museum, which features the Pergamon Altar and the Gate of Ishtar, or the Daniel Libeskind-designed Judisches Museum (Jewish Museum). A personal favorite of mine is the Deutsches Historiches Museum, which is a wonderful way to learn about German history. Beer gardens are an all-star German invention. Whether gigantic or small, they are all family-friendly establishments (often with playgrounds for kids) that serve up world-class beer on tap and allow you to bring in your own picnics—though they do sell pretzels, sausages and other goodies. People gather to watch soccer games, celebrate, or just chat and spend time with friends and family. Prost! Hiking in Germany is a way of life! Take in breathtaking scenery in the Black Forest, the Bavarian Alps or the island of Rugen while exploring well-marked trails, passing by friendly fellow hikers along the way. It’s possible to take public transit to almost any well-known trailhead. Many trails in the mountains even have quaint and convenient Almhutten, rustic outposts where you can stop for a rest and refreshment. Germany is a never-ending source, so it seems, of castles and cathedrals. You don’t want to go absolutely overboard and see every castle and cathedral possible, but it would be a shame to leave Germany without having been to one of each. My favorite cathedrals in Germany are the two big ones in Ulm and Regensburg respectively, and though it’s quite cliché, I would have to recommend a visit to Neuschwanstein (after all, it was the inspiration for Disneyland, basically). These are famous, ranging from the Nuremberger (small and grilled) to the Munich Weisswurst (medium-sized and eaten for breakfast). When you feel adventurous, try some Schweinshaxe, which is pork knuckle. 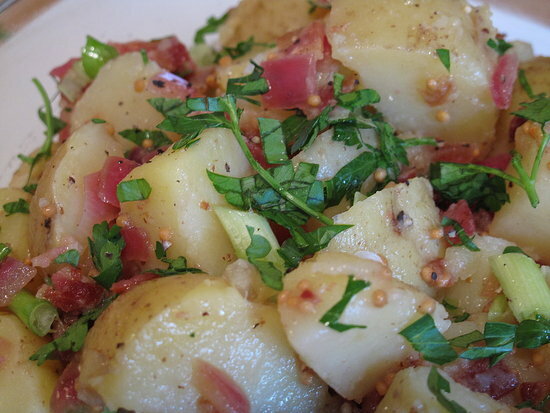 I am particularly fond of German kartoffelsalat (potato salad), which is light and herb-infused, and spatzle, a yummy sort of pasta often served with goat’s cheese. It’s thick, fresh, and hearty. For dessert, you can’t go wrong with a tasty German cake like a Zwetschgendatschi—plum cake—or perhaps a piece of strudel…I mean, really. This is the country that invented the Kaffee und Kuchen (coffee and cake) break! Germany hasn’t been united for very long, so it is still very much a “regional” country. People often identify themselves as being from a certain Bundesland, or region, like Baden-Wurttemburg or Saarland. It’s a great idea to strike up a conversation with Germans you meet about the region they’re from, or the town, and its traditions. Germans poke good-natured fun at their fellow countrymen from various regions and root for their favorite local soccer team. If you travel around the country, you’ll also note different dialects in German—yet another source of potentially humorous national jokes. 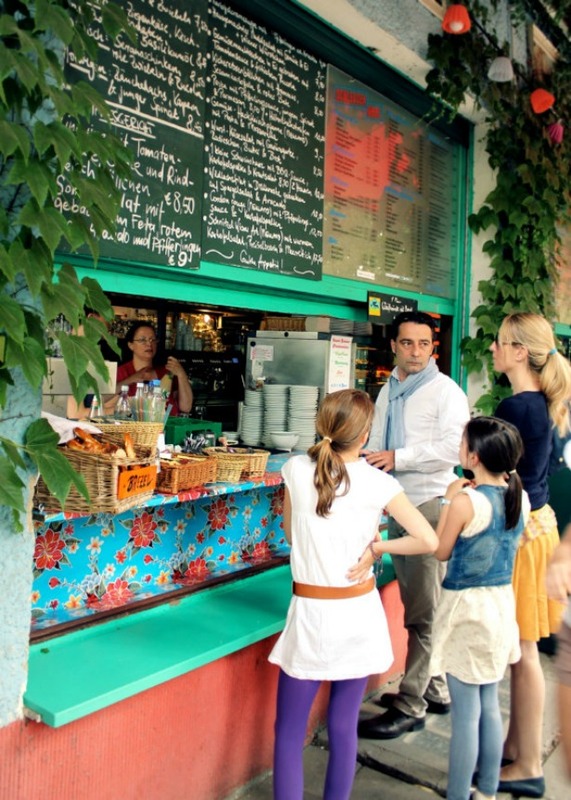 The Bavarian dialect is particularly thick and distinct—most Germans cannot understand Bavarian at all! Germany, while not the most inexpensive of countries to visit, has plenty of deals and bargains to be had. A really excellent one in Bavaria is the Bayern-Ticket. For about twenty-five euros, up to five people can share the same ticket to go anywhere in Bavaria all day on any train. You can often show up to a train station platform a few minutes before departure and ask around to see if anyone has a Bayern-Ticket they are looking to share! 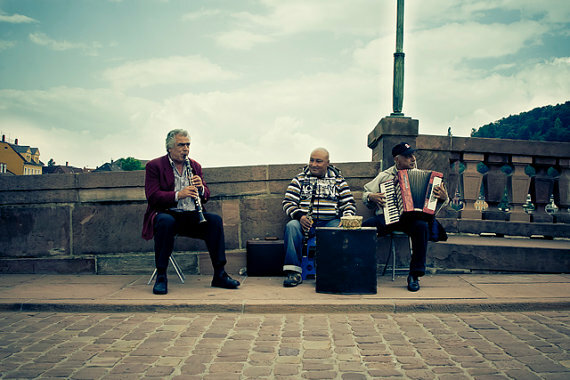 Another budget traveler tip is to use the Mitfahrgelegenheit, which is a rideshare website. Similar to Craiglist’s rideshare but way more vast in scope and more efficient, drivers post where they are going and where they are leaving from (including international destinations like Vienna or Prague). Typically, based on the trip’s distance, you are charged anywhere from five to thirty euros—very rarely more. When you take into account that a train or a plane ticket can cost upwards of sixty euros, it’s a great deal, and you could even make some new German friends in the process. Thanks so much for sharing, Naomi! Do you guys have any other German travel tips to share? P.S. The breakfast and beauty routines of one stylish German woman! 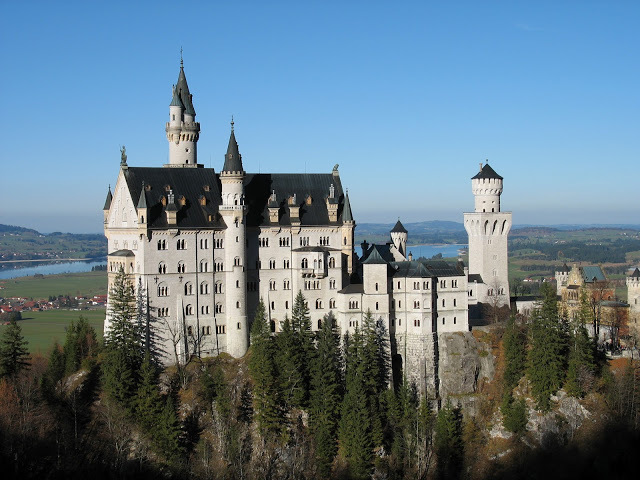 Would absolutely love to visit Neuschwanstein, and now I'm craving German food. As an adult, I've only visited Berlin, Duesseldorf and Cologne, but I saw a lot of Germany as a child. Sadly, I can barely remember it. But I do have a photo of me in Rothenburg ob der Tauber! i'm from germany (bavaria to be exact) and it's so funny to read about it. of course i have a different view on my home country. i personally don't like many of the classic bavarian foods. the best are brezn (soft pretzels). if you have any special questions on bavaria or germny, you can contact me anytime. Yes on trying German sausages! I went to Germany when I was 16 years old and was practically a vegetarian (despite being from Wisconsin, land of the brat.) Then, while sitting in a train station with no food, I ordered currywurst from a vendor, and I was a complete goner. I spent the rest of my time there sampling the different options. I live in Stuttgart, Germany now, but I'm originally from NYC. My husband is German. Bavaria is BEAUTIFUL! I must say I'm surprised there's no mention of Käsespätzle! Spätzle is the German Pasta, I would say. To everyone out there… this is definitely a must try. went to Germany and loved it! Also, have you ever written about being an au pair? 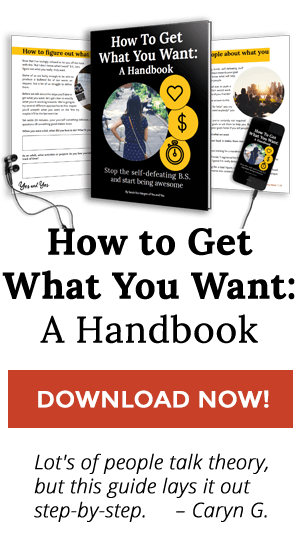 if not, you should…or just tell me about it personally! The pictures are simply amazing.It seems like a vibrant, beautiful place.Would like to visit the place sometime.Thanks for sharing the information!!! Coolest thing about Regensburg in Germany is it's fest Regensburger Spectaculum where in people wear traditional warriors costume and enjoy war games. Isn't that cool? Not many travelling to Germany might be knowing about this. Regensburg Travel is fun along with visits across places mentioned above. Love the German bread (and the chocolate from Germany is worth a mention too!!). I am originally from there but haven’t been back in years. Planning on going next summer. Your guide should really be on this list (http://www.bavarianclockworks.com/blog/best-germany-travel-guides-from-experienced-travel-bloggers/); you have some super helpful info. Thanks!